Not many leaves hang from the trees in Hendricks County, they&apos;ve all fluttered to the ground, leaving the landscape clear for the evergreens bursting in glory. The holidays are here and if all of the fun taking place this weekend isn&apos;t an indication, I&apos;m not sure what is. There are plenty of opportunities to shop locally this weekend and find those treasures on your holiday list. For more ideas of one-of-a-kind gifts in Hendricks and Morgan counties, I highly recommend checking out Hendricks County&apos;s One-of-a-Kind Finds Holiday Gift Guide, This interactive online resource is incredible in helping you find gifts for kids, teens, men, women or even foodies. This celebration held over two Saturdays beginning this Saturday is a holiday tradition not to be missed. Guests of Beasley&apos;s Orchard during Christmas at the Orchard can shop for gifts and fresh food, enjoy live music and samples. Children can create fun crafts, have their faces painted and visit with Santa. Professional photos with Santa can even be purchased. Another holiday shopping opportunity awaits in Avon on Saturday as well. Washington Township Park will host local Indiana Artisan vendors who have been hand selected for their quality craftsmanship. 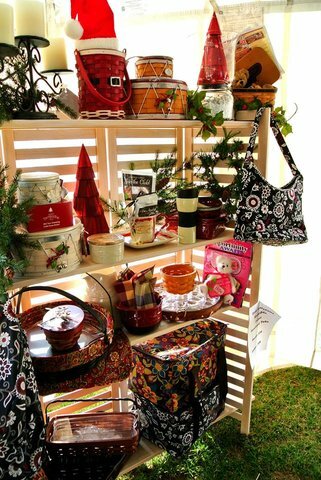 See and purchase gifts made by artisans including woodworking, paintings, jewelry and holiday decor. Start your shopping or wrap it up right here from 9 a.m. to 3 p.m. Saturday at the park&apos;s Pavilion Center. The annual Coatesville Tree lighting ceremony is a small part of a whole weekend of shopping, caroling, cocoa and cookies. Shop for holiday treasures in local downtown shops and among arts and crafts booths at the Community Center on Friday and Saturday. In celebration of National Model Railroad Month, the Central Indiana Division of the National Model Railroad Association will hold their annual Train Show at the Hendricks County 4-H Fairground & Conference Complex in Danville. From 10 a.m. to 3 p.m. on Saturday, train fans young and old are invited to see the operating layouts, shop with guest vendors and participate in the two clinics being offered. Admission is $3 per person or $5 per family. The Biz Academy of Musical Theatre presents the Lion King Jr. Finally, for those of you who love theater, The Biz will host performances of Lion King Jr. on Friday, Saturday and Sunday at Harmony Baptist Church in Avon. This show is recommended for ages 6-18. Tickets are $10 per person age 16 and up, $5 per person age 15 and under. Purchase tickets online in advance. Show times are 7 p.m. on Friday and Saturday and 3 p.m. on Sunday.